There's absolutely nothing wrong with the Nokia 8's design, but there aren't a lot of overly exciting traits to it either. 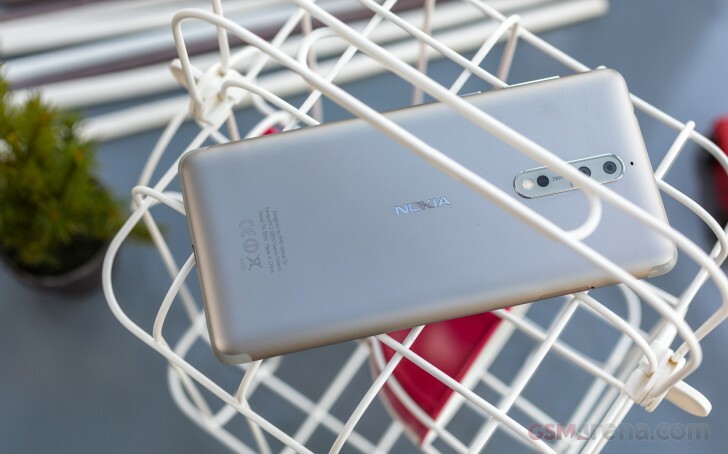 In a smartphone world dominated by glass backs, the Nokia 8 proudly boasts an all-metal build, yet because of that it sacrifices wireless charging. That feature may only be important to a minority of users, but now that even Apple's jumped into the game we expect to soon see charging pads everywhere in cafes, restaurants, airports, train stations, and so on. With a Nokia 8 you won't have the convenience of topping up without carrying your charger everywhere. On the other hand, it does have a USB-C port, which should become standard for non-Apple mobile devices in the near future, so at least you're covered on that front. Just a few short years ago the Nokia 8 would have been celebrated for its metal unibody construction and the way it feels solid and substantial in hand without actually seeming too heavy. Now though, the goalposts have moved and many people expect a 'glass sandwich' design of some sort for their hard earned cash. That said, it's refreshing to use a handset that doesn't collect fingerprints on its back at all. Whether glass or metal actually feels more premium to the touch is a subjective assessment, but we can probably all agree that fingerprints and oils always on display on the back of a phone really detract from the experience of owning a multiple-hundred-euro product you use all day. 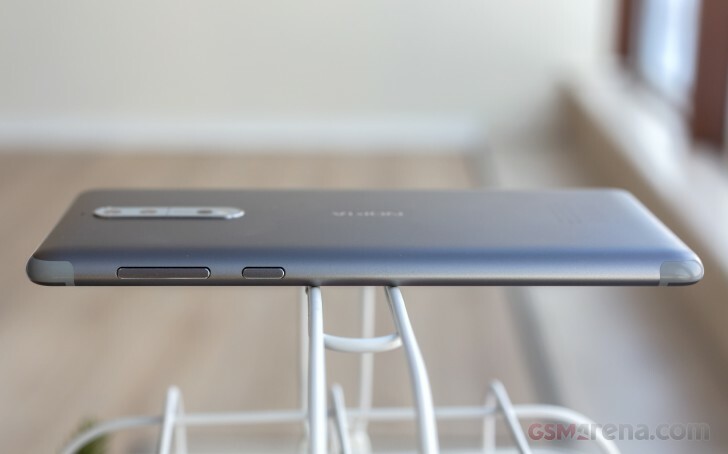 The Nokia 8 is thin enough and seems even thinner than it is because of the way the metal curves from the sides to the back. Since it has a pretty small screen by today's standards, it's also incredibly easy to use with one hand, and achieving a secure grip isn't hard at all. On the other hand, the aluminum it employs is as slippery as you might expect, so if the handset were much bigger then handling it without dropping it all the time might have been more of a challenge. On the front the Nokia 8 has bezels. Big, in-your-face, not at all trendy bezels. You can obviously live with them - after all, we'd been doing that for ages before the whole bezel-killing trend appeared. The bottom bezel even has some practical use (unlike what we saw in Google's original Pixels from 2016), since it houses the capacitive navigation buttons and the fingerprint sensor which also doubles as the Home button. It's all well and good until you meet a friend with a Galaxy S8, a device launched three months earlier than the Nokia 8, and you place them side by side on a table. 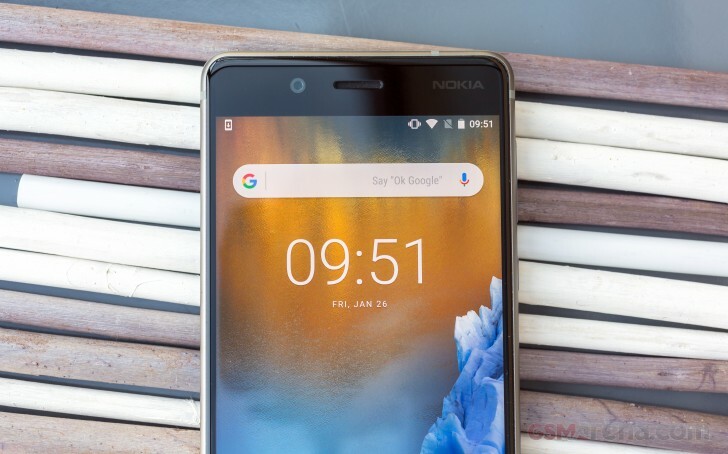 At that point, no matter how much of a Nokia fan you are, you're going to have to come to grips with the fact that the 8 uses a design that will become antiquated much quicker than some of its competitors'. Branding on the front of a smartphone is something we see less and less of nowadays, and for good reason - with screen bezels shrinking more and more, there's usually no room for something like that anyway. 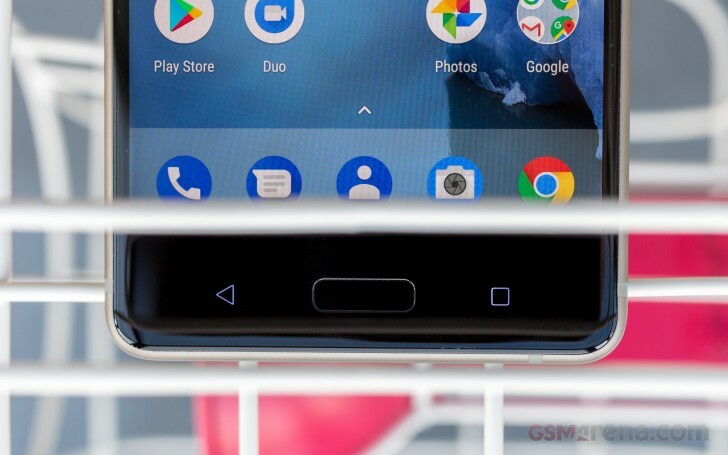 This isn't a problem for the Nokia 8, and whether you'll enjoy the fact that the brand prominently sits in the top right corner or not obviously depends on your taste on the matter. While one of our Nokia 8 units has survived a couple of drops from less than a meter high with only minor markings, we already see a few big scratches on its display - and we haven't performed any kind of scratch testing, mind you. Many small scratch marks have also appeared on its aluminum back, and once again we can't figure out how those happened - we don't tend to torture-test our phones on purpose. As with any modern smartphone, if you mind even the smallest visible scratch or scuff, then make sure you buy a case and a screen protector.